The AstroDome Planetarium has an assortment of professionally produced full-dome movies, like those you may have seen while visiting a large planetarium in a major city. 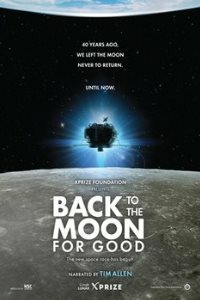 These movies are immersive, educational, and they have been officially licensed for use inside the AstroDome Planetarium. The AstroDome Planetarium can now stream full-dome movies on demand thanks to the wonderful folks at Loch Ness Productions. This new service allows us to greatly increase the number of movies that are available for you to watch. 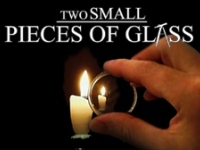 To browse all these new movies - about 75 of them - all you have to do is click here. The cost for an ​on demand full-dome movie is $5 per person. Please note that the minimum audience size (per movie per day) is twenty. Also, a fast WiFi connection is required in order to stream these on demand movies. The full-dome planetarium movies listed below are part of our collection and therefore a WiFi connection is not required to watch them inside the AstroDome Planetarium. These full-dome movies are just $4 per person. Make it a Double Feature! Watch one planetarium movie at regular price, then watch a second movie for half-price! That's two full-dome planetarium movies for just $6 per person! This special offer does not apply to planetarium movies on demand. 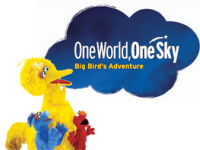 One World, One Sky: Big Bird’s Adventure is a cross-cultural planetarium show geared toward children ages 4 to 6. Through the lens of astronomy, children join Elmo, Big Bird and Hu Hu Zhu - a Muppet from the Chinese co-production of Sesame Street - to explore the night sky and learn about the Moon, the Big Dipper and the North Star. The planetarium experience aims to provide young children with an age-appropriate introduction to astronomy, to promote positive attitudes toward science, and to foster cross-cultural appreciation. The show was created by Sesame Workshop, the nonprofit educational organization behind Sesame Street. The soundtrack for this full-dome show was recorded by the London Symphony Orchestra. 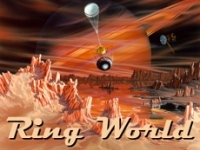 Ride along on the Cassini-Huygens spacecraft as it explores Saturn. After traveling for nearly seven years and more than three billion kilometres, the Cassini-Huygens spacecraft has finally reached Saturn and is currently exploring the planet. The Huygens probe, carried by Cassini, has landed on the surface of Titan and sent back the first-ever images of Saturn's largest moon. Sit back and enjoy a close-up view of one of the most intriguing planets in the solar system - a world with unparalleled beauty - Saturn. Narrated by Star Trek Enterprise actor John Billingsley, produced by NASA's Jet Propulsion Laboratory, edited by the Houston Museum of Natural Science. The prices that appear above represent the Admission Fee. In addition to the Admission Fee, there is also a Travel Cost, and an Administrative Fee​. All fees are outlined here.